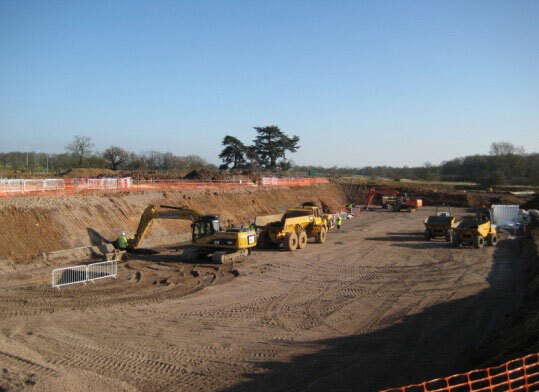 Scope: Full groundworks package in order to construct the new National FA Headquarters, St Georges Park, Burton. 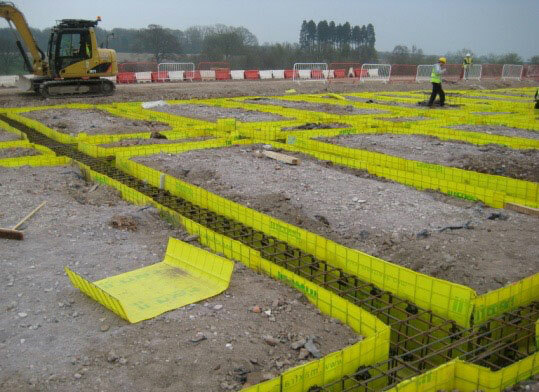 Large reinforced foundations and associated ground beams. Foul and surface water drainage systems with excavations reaching up to 9m deep. Over 20,000 linear metres of buried services to serve the complex. 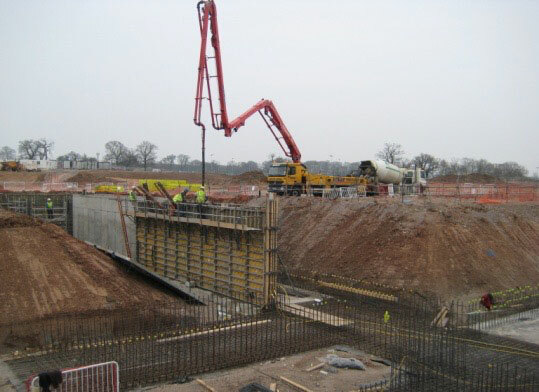 450m of 4m high retaining walls to form basements and retaining landscape to football pitches. Vast external landscaping of ‘swales’ built into the hillside to form natural drainage and attenuation. Large attenuation lake for onsite irrigation system. Over 8,000m² granite paving to form pedestrianised areas, footpaths and building borders.